The program offers free academic, career and cultural counseling to low-income, first-time college students. 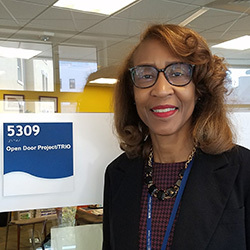 For more than two decades, the people of the Open Door Project (ODP) have inspired Tidewater Community College students to achieve their dreams. 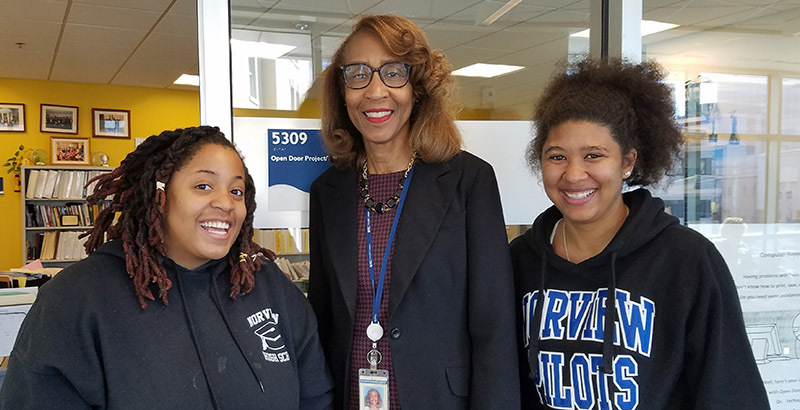 The program offers free academic, career and cultural counseling to low-income, first-time college students on the Norfolk and Portsmouth campuses. ODP is a Department of Education federal TRIO program that was first awarded at TCC in 1997. TCC’s Norfolk Campus is also celebrating 20 years. Established in 1997, the campus in downtown Norfolk is part of a vibrant cultural, business and theater district. The urban campus includes the Jeanne and George Roper Performing Arts Center, formerly the historic Loew’s State Theater, as well as a student center that complements the landscape and includes an outdoor gathering space just off Granby Street. The campus offers education and training for recent high school graduates, returning adults and military-related students. Signature programs include culinary arts, music, business administration and human services. 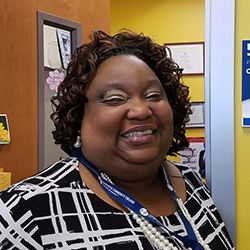 More than 2,000 TCC students have benefited from ODP support services designed to improve academic performance, help students stay in college and graduate or transfer to a four-year school. Program offerings include academic and career counseling, cultural enrichment, tutoring, study skills and a laptop loan program. 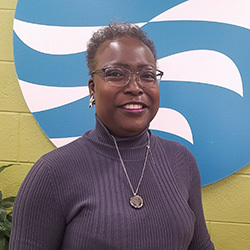 Willette Hackney-Davis, one of the first ODP students to graduate from TCC, now works as a database administrator and academic advisor for the program. Hackney-Davis earned the Gates Millennium Scholarship in 2000 from the Bill & Melinda Gates Foundation and went on to receive a bachelor’s in internetworking technology and a master’s in software engineering. The program started with a single grant of $180,000. Today, the college receives separate grants for the Norfolk and Portsmouth campuses totaling $529,470 annually. Currently, more than 350 TCC students benefit from the program. Kay Williams has been the director of ODP from the start. She said she has never had a day when she didn’t love coming to work. “The feedback you get from students on how we have helped is really beyond measure,” Williams said. Students who complete 30 credits and maintain a 3.0 GPA are invited to mentor incoming first- year students. 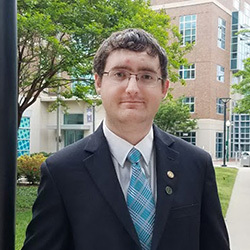 Aric Justice, who graduated with an Associate of Science in Business Administration in May 2017, was a peer mentor while participating in the program. Justice credits his three “moms” – Williams, Hackney-Davis and Linda Davis – all ODP staff, with helping him stay on track; he went on to study at Old Dominion University. He had a rough start in life and credits the people of ODP for assisting him in the developing his educational and career goals. Geneva Lawton got her start with ODP in 2000. With persistence and dedication, she will earn her Associate of Science in General Studies in December. Lawton battled stage IV cancer, homelessness and raised three nieces and a nephew, along with her two children, while pursuing her degree. To be eligible for the Open Door Project, students must attend TCC’s Norfolk or Portsmouth campuses, be a U.S. citizen, demonstrate income and academic eligibility and be a first-generation college student or a person with a documented disability. Learn more about the Open Door Project at www.tcc.edu/opendoor or email opendoor@tcc.edu.